At CCTI we spend a lot of time planning our tours to ensure that our clients' holidays are memorable. During each tour we endeavour to make sure that each individual client enjoys the hotels, the routes and the company of fellow participants.As a result, we approach all our tours with a lot of enthusiasm and passion and are always focussed on delighting clients. But, don't just take our word for it, here's what our clients think about us... we hope you'll be impressed ! IF YOU ARE CONSIDERING BOOKING ONE OF OUR TOURS, WOULD YOU LIKE TO SPEAK TO A CLIENT ? If you are considering joining us on a tour and would like to speak with any of our clients we'll be happy to introduce you to them, after all, they are our best salesmen ! I just want to send you a short e-mail to thank you for the most enjoyable and fun tour. Both Sheila and I have so enjoyed both tours that we have completed and we look forward, with anticipation to the next one. You managed to control the rabble and it is a testament to you and the ambiance of your tours that each participant on the Sardinia tour was repeat business We have made some good friends on the tours. "Liz and I want to express our sincere thanks for your meticulous organisation of the tour to Angouleme, and for the way you made it such an enjoyable experience for us both! We are very grateful to you as well, for your hospitality at your lovely home in the Loire valley. We thoroughly enjoyed our first tour with Classic Car Tours International, and hope we’ll be able to join in some more as time goes on." "I am late with my big thank you for our wonderful holiday, the boy racer is rejuvenated and I am recovering! We simply loved our tour and hopefully will be able to afford a new to us car and another tour next year. Your organisation was fantastic and everything went like clockwork." "Firstly to say a belated thank you for organising such a great tour this September. As newcomers to this sort of holiday we were delighted by the experience. First class accommodation, food and organisation not to mention the splendid weather! It was fun to spend time with such a mixed group of people who were united by their love of motoring and France. The country roads were delightful to drive and the racing at Angouleme exciting - success! " "The trip was great, and we have many memories, thank you. Looking forward to seeing your 2019 trips so we can get something booked Would definitely like to do Angouleme with you again. Thanks again for a great trip and do keep in touch, all the best"
"Thank you, once again, for shepherding us safely for a most enjoyable weekend at Angouleme. We really appreciate the effort you go to to ensure everything runs smoothly. " "A heartfelt thank you for another enjoyable and memorable holiday. The hotels were interesting and the tower room at Chateau De La Caze a total one off and unforgettable. Your hard work during the trips and in preparation makes for a wonderful trip for us punters and this is enhanced by your company.We look forward to seeing you both next year." "We would like to thank you for a truly memorable tour to Angouleme. We had a great time thanks to your brilliant shepherding and the care you took to make the tour a success. The hotels and restaurants were excellent and you went out of your way to make sure that we all enjoyed the trip." "We can hardly find the words to portray what a wonderful week we have had in your company. It was just brilliant in so many ways. Exceptionally well thought out, a wonderful place to stay, lovely visits and of course great company. Anyway, thank you both so much for all you did to make it such a brilliant trip. We will be sure to come with you again so will keep an eye on the things you have planned." "What a great Tour. The best we have been on! ( and we've done a lot) Both of you made us very welcome and that ensured that the group gelled so well. We had a super time and your attention to detail was impressive." "All back to normal after our lovely trip with you and Karen. Thoroughly enjoyed it and we will definitely go back to Ireland"
"We loved our trip, the scenery was glorious, the food delicious, the hotels sumptuous, the driving sometimes hairy, and the company most congenial. Couldn't have been better, and the birthday treats cool. We have a marvellous time." "We both wanted to send a big thank you for a really great adventure through the best of southern Ireland We both had a great time - the route, the people, the hotels and the food, all first rate." "Sheila and I cannot thank you enough for the wonderful time you arranged for us on the Italian/Mille Miglia tour. It was a memorable experience from beginning to end and we will be talking about it and boring our friends with the stories for many months to come." "Finally arrived home late afternoon yesterday after what was a really fantastic 18 days away, both Ann & I enjoyed the whole adventure and thanks again to you both for the organisation, the choice of hotels and your company, as last year on the Loire Valley Tour its was thoroughly enjoyable.We met some lovely people, made some new friends and Annie finally got to see how beautiful the Italian Lakes are and I got to see the Mille Miglia again, a real treat for both of us. " "Have to say we enjoyed the tour immensely. From our point of view everything worked perfectly and we enjoyed the route you had chosen.We enjoyed the hotels, different in their own ways but all had something to offer. No complaints whatsoever.Many thanks for a great holiday and I am sure we will be back." "I really wanted to add my personal thanks for a terrific trip. I know that a lot of hard work goes in before hand and it was all much appreciated. I really would not change a thing. Your route was so so interesting and we stayed in some memorable places and every day was fun and interesting. We didn't have one bad meal and the hotels were all lovely." "We have just returned from our first Classic Car Tour and thoroughly enjoyed it. Not only are Brian and Karen the most loveliest couple, but they also put on a very well organised trip. If you like excellent hotels with fine food, a great choice of daily excursions, driving with the added bonus of stunning scenery and meeting new people, then this is the holiday for you. Thanks Brain and Karen for a most memorable time. We will be definitely be doing another trip next year." "Our Alps/Lakes tour was great fun, the driving as brilliant as can be, route amazing as our previous trips. Hotels were all very nice in particular the spa hotel near the Stelvio and the company as always wonderful, it’s so nice to spend time with such great people and hearing about their adventures in life.The amount of driving for a 2-week trip was perfect." "Thanks to you both for hosting another memorable tour, we had a great time." "I just wanted to thank you both for organising a great week. We came with some reservations, worried that it would be a little “thin” after our regularity rallies. But we thoroughly enjoyed it and it was good to spend more time seeing the sights. And the conversation in the evening was more wide-ranging than the usual rally post-mortem about navigational mistakes etc.I hope we get the chance to do another of your tours." "Hi Brian, just a quick note to say a big thanks for an excellent tour. Given the number of ice cream stops we will be back for more! " "Just a note to let you know that Ann and I enjoyed the tour. Really good places to visit and a superb hotel. The company was great and we enjoyed the freedom to do driving at our own pace. See you on our next tour with you, hopefully next year. We are just deciding which one. " "I really just wanted you to know what a fantastic time Ian and I had on your tour of Ireland. Your itinerary was so so good and every day - literally -was as enjoyable as the one before. The driving each day was just right and there was so much to see and explore with some guidance from you. We always enjoy your company and have locked away some very happy memories and some hilarious moments." "Brian and Karen, many many thanks to both of you for a wonderful trip. It was just a superb experience from start to finish and your calm organisation was superb throughout and the driving was amongst the best we've experienced anywhere in the world. I'm sure we'll be back.You were brilliant guys, I expect you'll see us again !" " Brian – and Karen, Jo and I just wanted to say to you both many many thanks for a truly outstanding trip. It was the first time we’ve ever been on an ‘organised’ event as we normally travel independently so make all our own arrangements, but have to say whilst it might have been the first, I certainly hope it won’t be our last. The organisation was flawless and the company exceptional. Once again many thanks to you both - great memories." "Brian and Karen, Just a quick thanks for a great holiday. You even managed some great weather!" "Anyway we have to say the Pyrenees tour was one of the best holidays we’ve ever done, your organisation as normal was impressive, as were the hotels, we couldn’t fault it. Thank you, hope to see you on another trip next year". "Firstly many thanks to you both for a splendid tour which was well up to your usual high standards. The route was challenging and of the best and the hotels a pleasure to stay in. I think we were fortunate to have had such good travelling companions and the number of cars made for a close knit group". "Thank you so much for a splendid tour Janet and I both thoroughly enjoyed it despite the hectic schedules and multi hotel changes.We will certainly book another tour with you possibly one that stays in the same hotel. Hope all is well with you both and thanks again". "Thank you both for a great holiday you really went beyond the call of duty to give us a great time,an we enjoyed your company very much" . great company.You're our favourite tour operator and guide and hope to see you next year". "We just wanted to thank you for organising such a great tour. We really enjoyed being with you all and soaking up the lovely french atmosphere". Richard and Jeanette: Crawley West Sussex: Dax Cobra 427: new clients reat fun"
"Thank you for being such great guides around Provence.We thoroughly enjoyed our tour"
"Dear Brian and Karen, Thank you both so very much for a most enjoyable Toad Tour.Everyone seemed to thoroughly enjoy themselves and the banter between all was great. The hotels you chose were all good from the quirky in Ollo to Chateau Rochecotte who seem to have gone up a gear every time we visit, all perfect choices. The routes were superb interesting driving roads with no traffic ! This was the best tour I have done and the most enjoyable and stress free I agree with Lord ------ you are "simply the best". "Thanks Brian for a great trip, just looked up some of the photos, hope to see you again"
"Brian, Many thanks for once again organising a great tour. We thoroughly enjoyed seeing all the sights and the racing at Angouleme." "We had a great time, it was a lovely tour - thank you so much". "The Angouleme tour was most enjoyable in every way and we are both pleased that we were part of it. The people, the cars, the great driving roads and the racing were all really good and the routes and stops were all excellent.We found everything about the hotels to be really good. Everything else was fantastic and Sue remarked at the weekend that it was the best tour that we have been on so far!" "Magnifique! Great routes, superb hotels and food, thrilling race day at Angouleme and, most of all, brilliant company - such a good mix of friendly people. Having Brian organise everything for us was a big plus and we thoroughly enjoyed both him and Karen being with us on the tour.You, together with Karen provided brilliant support, reassurance and the 'fun' factor on our time away." "Thank you so very much for a super Toad Tour.You exceeded our expectations at every level and I sincerely hope that we will be able ,with your help, to do another tour next year"
"We just want you all to know we have greatly enjoyed your company on this well sorted tour." "Just a quick 'note' to add my thanks to you for a great holiday - much appreciated! " "The dust has settled after our super French Rally and it is time to say a big thank-you for all your hard work and help during our trip.I think Jen & I have completed some 95 various Classic Rallies over the last 20 or so years (including all the 21 MSA Euros ) and this was certainly one of the best we have ever been on, super Hotels, super food, carefully researched route and good company. Splendid, in fact it was exactly as it said on the tin !!!!" "Bonjour Brian..Thank you so much for the organising of our recent Toad Tour, it was excellent.The hotels and food were exemplary, and everyone enjoyed themselves." "Thanks you both for organising such a great trip. In our view it was without fault, right number of participants,right number of days, great hotels and meals, nice driving distances and most of all great company. And the weather! Hopefully a similar trip can be organised for next year. While in advance we wondered why Brian was travelling it soon dawned on us how valuable it was to have him with us over and above just supplying the route books and booking the hotels. He could have taken the brunt of any complaints had they arisen but thanks to his good organisation they didn't." "Just to note – I thought the Dordogne trip was great – allowed the group to co-mingle easily, choice of smaller (and much better) hotels and the driving was not too frantic. Two overnight stays on 2 consecutive days is also a big plus. Great organisation !! 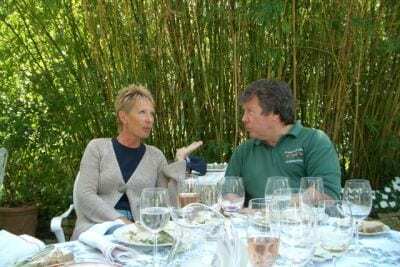 thanks"
"Good luck on the next tour Brian, we really enjoyed it"
"Karen and I loved the Dordogne tour so much we hope to do another one with you next year"
" thank you for providing an excellent experience". "Thanks for a good tour again, we both enjoyed it. Will think about Croatia for next year." "Hi Brian, home safe and sound after a superb and enjoyable Tuscany Tour with CCTI. All great hotels, beautiful weather, fine food and wine and lovely company. Once again, a great trip"
"Once again our thanks for a fabulous trip to Monaco, we enjoyed every minute of the driving (particularly Ian). In other words your organisational skills came up trumps again for us, and Monaco and Janet's brush with Stirling Moss was special. We look forward to what you have to offer in the future"
"Ann & I have wish to thank you for the car tour holiday. The accommodation was perfect all the way down to Monaco for the Historic GP and equally as good from there to the Italian lakes. Mille Miglia was far better than expected and the company of the other trip members was the icing on the cake.May see you around at the classic Le Mans. If not then all things being OK we will be booking a tour next year probably the Loire valley." "Thanks for another well organised and interesting tour we especially enjoyed the Mille Miglia and would recommend it to anyone". "I would like to thank you on behalf myself and Jill for a most enjoyable experience on the Mille Miglia Tour. In your words " It was a leap of faith" but one that proved to be both worthwhile and rewarding. The tour was varied, flexible and without pressure which made it a relaxing experience - And also a big thanks to the fellow members of the group for their camaraderie and for being great company! "Just to say thanks from Kathy and I for a great holiday!" " I wanted to email you to thank you for a great trip to the Italian Lakes and of course the Mille Miglia, we thoroughly enjoyed the fantastic scenery, the excellent hotels, restaurants, food and wine and the company was really fun.This was our first serious road trip abroad and now knowing that as long as you are organising, it will certainly not be our last." "Just returned to the office today, and back to reality I would just like to express my gratitude to you on behalf of Pat and myself, we thoroughly enjoyed every minute of our time in Italy and look forward to joining you sometime next year."